On the right hand side, choose from the available list of views 'Ordnance Survey'. You don't need to 'sign in'. You can search the map by zooming in/out and dragging. Another way to search is to enter a place name in the search box. Enter Penrith, locate the town and locate Newton Rigg college where we are right now. 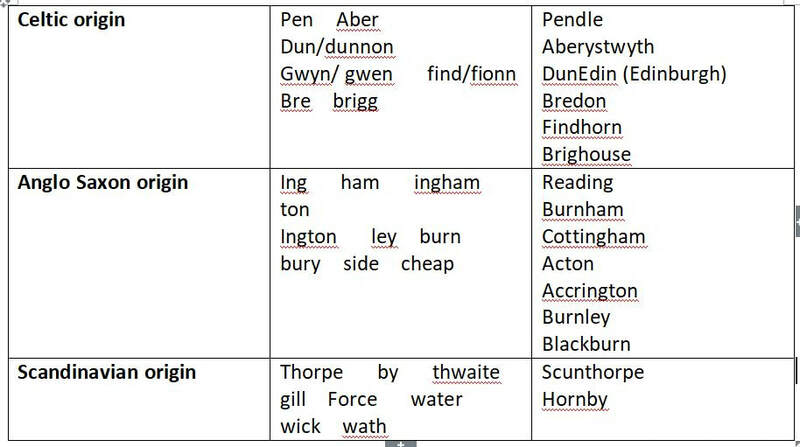 Use the table below to spot which settlers left which names around here. Next, using bing maps with the Ordnance Survey option selected, enter Patchway into the search box. What do you notice about the place names around Patchway? What do you think this tells us about the ancient settlement of the area?